It’s important to understand the level of professional care your Toyota receives when you drop it off with us for maintenance. That’s why we provide descriptions of the most common Toyota services we perform, including Oil Changes, Brake Repair, and Transmission Service. That way, you can make informed decisions about the care and maintenance of your Toyota. We do more—and less—than you may think. Our Certified Toyota Technicians do more of the important “little” things than most Toyota owners realize, like checking tire pressure and fluid levels on every car they service. But what they do less — in fact, not at all — is try to sell you services you don’t need. City Toyota never packs its service recommendations with “extras” that end up costing you more money. Our goal is to complete the services your Toyota needs, when needed, and recommend only those we think my truly be of benefit. We check tire pressure on every car we service! If you want to improve your gas mileage and your Toyota’s overall performance, don’t forget the importance of a clean air filter. 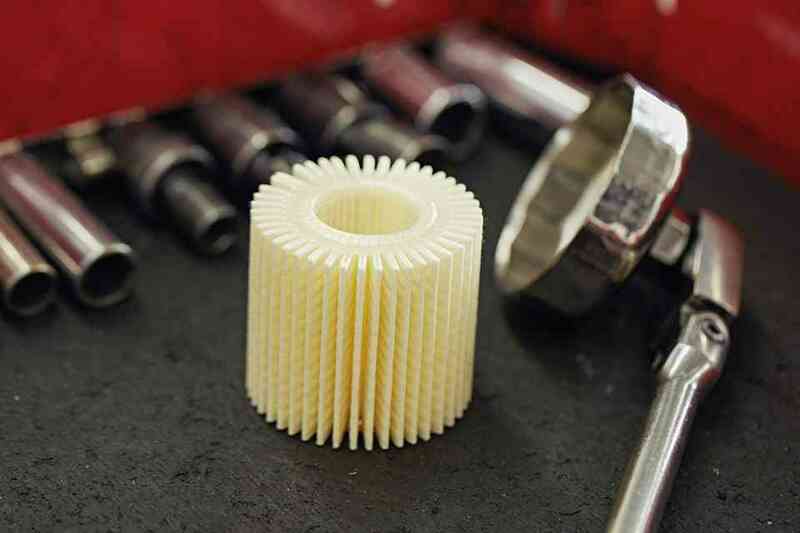 An air filter’s job it so remove dust particles and other contaminants from the air that’s headed to your engine’s combustion chamber, leading to cleaner combustion. That, in turn, will improve your fuel efficiency and, ultimately, the life of your engine. Fortunately, inspecting and replacing an air filter is relatively quick and inexpensive. Our trained technicians can visually inspect a filter to gauge its remaining life. If it appears clogged by dirt and debris, we’ll let you know and ask if you’d like us to install a new, genuine Toyota air filter. It will be like a breath of fresh air for your Toyota. We all take two things for granted when we get into our car: 1) that it will start, and 2) that it will stop. If it doesn’t start when you want it to, that’s frustrating. If it doesn’t stop when need it to, that’s potentially life threatening. In other words, ensuring that your brake system is in tip-top shape is possibly the most important maintenance item on the list. When you push on the brake pedal, brake fluid is pushed through the system, causing your brake pads/shoes to operate, thereby stopping your vehicle. After a while, brake fluid is susceptible to two kinds of contamination: moisture and oxidation. In terms of collecting moisture, brake fluid is what we call “hygroscopic”. That means it can absorb moisture right out of the air. If your brake fluid has too much water content, the boiling point is lowered, which reduces braking performance. That same moisture also encourages corrosion, which can lead to expensive damage to brake system parts. Additionally, disc brakes oxidize, which also contributes to the corrosion of brake fluid. For your safety, and to avoid unnecessary repairs, City Toyota recommends you flush your brake system and replace the fluid every two years or 30,000 miles. This service isn’t as much for your Toyota as it is for you. Sure, a dirty cabin air filter can adversely impact your Toyota’s heater and air conditioning system, but the biggest impact is on your comfort and well being. The role of a cabin air filter is to remove dust, pollen, mold, and other pollutants from incoming air before it reaches you. You’d be amazed by how much dirt and grime is removed by the cabin air filter as you use your heater, air conditioner, and vents. Once that filter gets really dirty, you may notice a decrease in heating and cooling effectiveness, a foul oder may be detectable, and you’re certainly increasing the volume of pollutants entering the passenger area. Inspecting and replacing the cabin air filter is quick and easy, but it’s something most drivers never consider. Be sure to put it on your list so you can breathe easier. If you want to help your Toyota “beat the heat”, have your Cooling System serviced regularly. Otherwise, your engine can overheat, even in cool weather. When the coolant/antifreeze in your vehicle’s cooling system gets old, it becomes contaminated and corrosion begins to occur. And corrosion — once started — is nearly impossible to stop. That can ultimately lead to an expensive repair. To prevent overheating and avoid corrosion, City Toyota recommends changing coolant once a year or every 15,000 miles, or every 3 years or 50,000 miles for those using “extended life coolant”. With regular care, you’ll extend the life of your water pump, heater core, and radiator, which will reduce or eliminate potential repair costs. Transfers engine power to the wheels. Slows the rotational speed of the transmission prior to reaching the wheels. Controls power to the wheels, allowing them to rotate at “different speeds”, thus the name “differential”. The differential for front-wheel drive cars is often called a transaxle and is located in the front. Rear-wheel drives have a rear differential and four-wheel drive vehicles have differentials in the front and the back – and in the middle as well. So no matter what type of vehicle you drive, it is bound to have at least one differential. All this sophisticated operation requires well lubricated parts. Without proper lubrication, your differential can’t do its job. Now, as you can imagine, the fluid within the differential can get very hot, which causes it to break down over time, reducing its ability to serve as a lubricant. If you don’t replace that differential fluid regularly, your Toyota will suffer unnecessary wear on its gears and, ultimately, failure. To extend the life of your differential, we recommend that you change the fluid in strict accordance with Toyota’s recommendation for your particular model. If you have questions, we’re here to help. If you’ve ever driven a car that was built prior to the advent of power steering, you know how much harder it was to turn your car in the old days. Well, it’s even harder to control a modern vehicle that’s lost its power steering system. That sudden loss of control can be extremely dangerous. To ensure that never happens to you, it’s critically important to have your power steering fluid changed on a regular basis. As power steering fluid ages and gets contaminated, your power steering system loses its hydraulic “power”. It also tends to produce heat from increased friction, which can lead to the buildup of dirt and deposits within the system, potentially limiting your ability to steer properly. Furthermore, old fluid can damage your vehicle’s power steering system, which could result in the need to replace your power-steering pump or power-steering rack. The cost of a repair like that can be significant. City Toyota advises a power steering service about every 30,000 miles. However, if you’re hearing odd noises, such as whining or groaning sounds, or your steering just doesn’t feel normal, please visit us immediately and allow us to inspect the fluid. The transmission is what allows your Toyota to change gears as you drive. Repairing or replacing your transmission can cost thousands of dollars. Maintaining your transmission, however, is very affordable. City Toyota recommends that you change your transmission fluid regularly to maximize transmission life and avoid costly repairs.Transmission fluid lubricates the system and keeps parts moving smoothly. However, over time, transmission fluid “wears out” and degrades. It becomes contaminated with particles that create friction and its beneficial additives are depleted.City Toyota will remove old, dirty transmission fluid in your Toyota and replace it with fresh, high-quality fluid. That will help prevent premature wear and tear to your transmission, decreasing the chance of an expansion breakdown.City Toyota recommends changing transmission fluid for automatic transmissions every 15,000 miles and between 15,000 and 30,000 miles for manual transmissions.